This Home is filled with musical history and smash hits! A beautifully renovated property located just 5 mins from Nashville airport (BNA) and 10 mins from downtown. 3 Bedrooms &amp; Bonus Rm with secluded deck on a cul-de-sac. Comfortably sleeps 8 or 9. Near Nashville shores &amp; Opryland. Guests may contact us via telephone to report any issues. Please additionally text &amp; email to help us respond as swiftly as possible. Cellphone provided upon confirmed booking. Close to everything. Top of the hill at the end of a cul-de-sac! Guests have access to entire property. As part of Nashville's deep heritage, this home has been the inspiration and setting of many a hit song. As the home of two of Nashville's top writers and performers, these walls have borne witness to No. 1 hits such as 'She's Everything' released by Brad Paisley and 'Round About Way' by George Strait, amongst many other smash hits for the likes of Joe Nichols, Michael Montgomery, Diamond Rio, Sammy Kershaw &amp; The Oakridge Boys. With a tranquil setting at the end of a cul-de-sac, enjoy this spacious backyard with overlooking magnificent deck. This home features three bedrooms on the main level, a wonderful chef's kitchen, cozy living room with fireplace and an enormous upstairs bonus room with foosball table, fold out futon and single bed for additional sleeping arrangements. Please make yourself at home and enjoy! If you arrive by car, there is ample parking space on the driveway. If not, the best way to get around is with Lyft or Uber which will get you where you want to go relatively inexpensively. 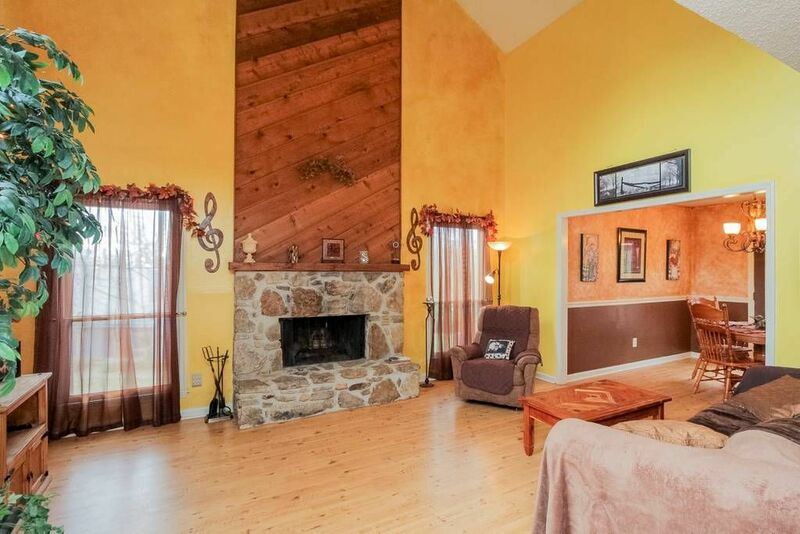 Super close to Nashville international airport and downtown. Overall good experience! Lots of room and great location. If you have kids would be better for bigger group, but with all adults we did end up using air mattress instead of futon and toddler bed. We loved this place. The location was ideal for us. The large deck is perfect for morning coffee. We’re already planning a return visit. The house was clean in a good location and welcoming, it was snowing and cold outside when we arrived and just one thing would have made our stay perfect and that would have been wood and ability to use the open fire. Property was very clean and acceptable. The only thing that was a issue for us is there was only one TV in the whole house so we went to purchase one so that the children upstairs could play games. Close to attractions and private with nice deck! House was clean and welcomining! Wish we had some wood for the fire pit! The only thing the house needs is more seating in the living room! The house was very nice. Could use more furniture in living room. Would definitely rent again. Clean and comfortable, worked great for a girls weekend. Close enough to downtown Nashville to take an Uber. I would recommend this house.